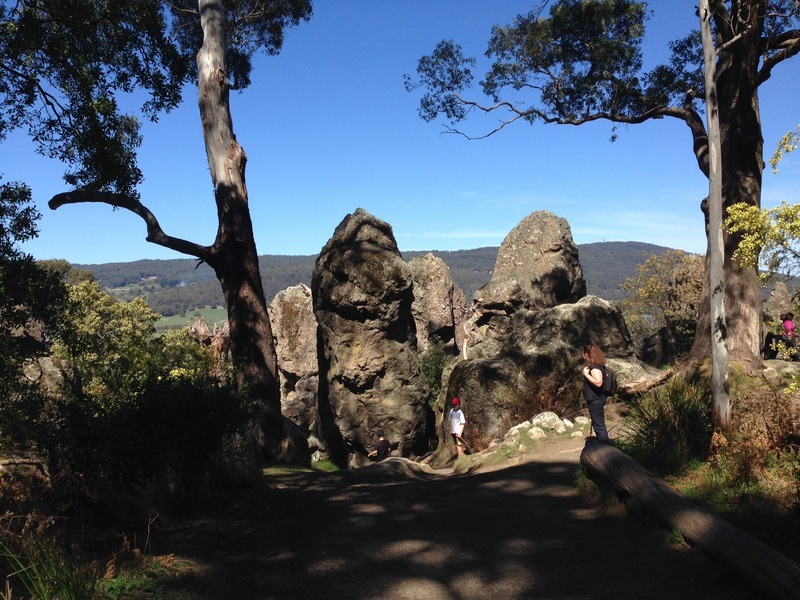 Hanging Rock Reserve is a public reserve of approximately 67.6 hectares (167 acres) located near Woodend. It contains the Hanging Rock geological formation, the woodland that surrounds it and associated recreation grounds, a racecourse and dam and a number of small amenity buildings and structures, including a hexagonal ladies toilet building from the early twentieth century. The geological formation known as Hanging Rock was first recorded on a map by Robert Hoddle as Diogenes's Mount in 1844. Its remarkable geological character and beauty were recognised by William von Blandowski, Curator of Melbourne's Natural History Museum, who described it as 'one of the most remarkable spots in Victoria, if not in whole Australia' after an excursion in 1855. By the late 1850s the formation had also become known as both Dryden's Rock, after an early settler in the vicinity, and The Hanging Rock, after a suspended and wedged rock on the southern side of the formation. 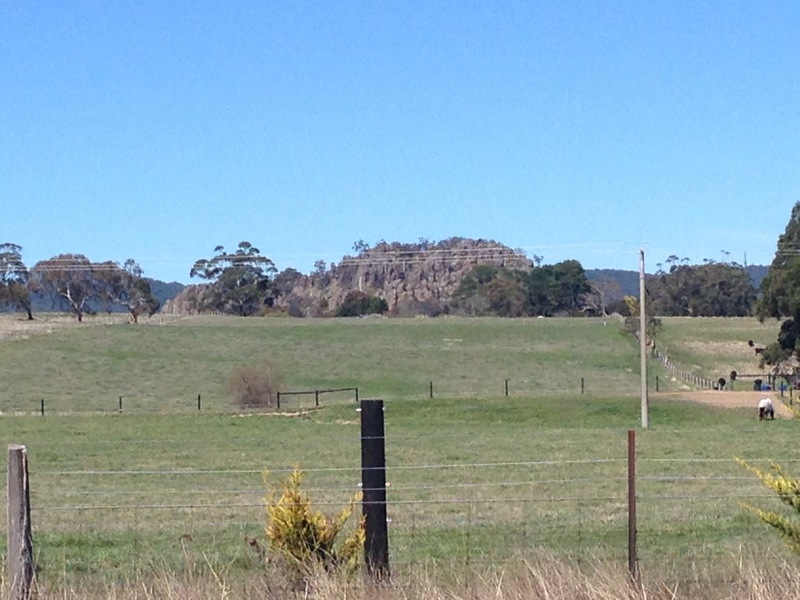 The allotment containing Hanging Rock was purchased from the Crown in 1857, and picnics and sports days were first held on land owned by William Adams immediately to the south-west of Hanging Rock from the mid-1860s. These events included horse racing. By the time Adams acquired the allotment containing Hanging Rock in 1869, organised picnic and sports days on Boxing Day and New Years Day were regularly attended by thousands of people from both the local district and Melbourne. A 38.8 hectare (96 acre) allotment to the east of Hanging Rock was gazetted by the government as a recreation and water reserve in 1870. 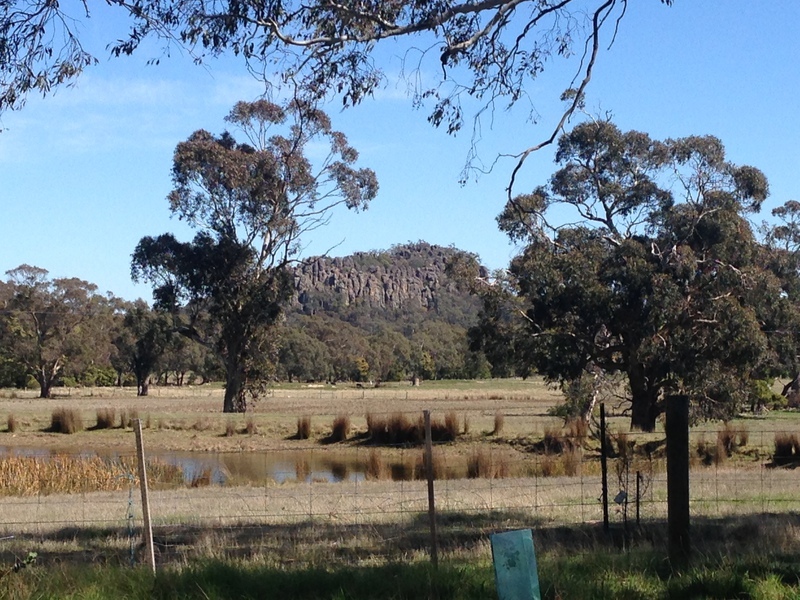 In 1884 the allotment containing Hanging Rock was also gazetted and the combined 67.6 hectare (167 acre) site was permanently reserved as a 'Site for Public Recreation and for affording Access to Water'. Horse racing continued as a sporting highlight and, despite some opposition, the racecourse was moved to the water reserve in 1878. The Hanging Rock Racing Club was formed in 1885. The racetrack was extended to its present form in 1911 and a crowd of some 20,000 spectators were reported to be in attendance on race day on New Year's Day in 1912. Races continue to be held at the racecourse twice a year. The international success of the 1975 film of Joan Lindsay's book, Picnic at Hanging Rock (1967), resulted in a significant increase in tourist numbers to Hanging Rock. Grants from the Victorian Government in 1978 enabled upgrades to various facilities. Hanging Rock Reserve is a 67.6 hectare public recreation reserve, 7 kilometres north-east of Woodend, and 77 km north-west of Melbourne. 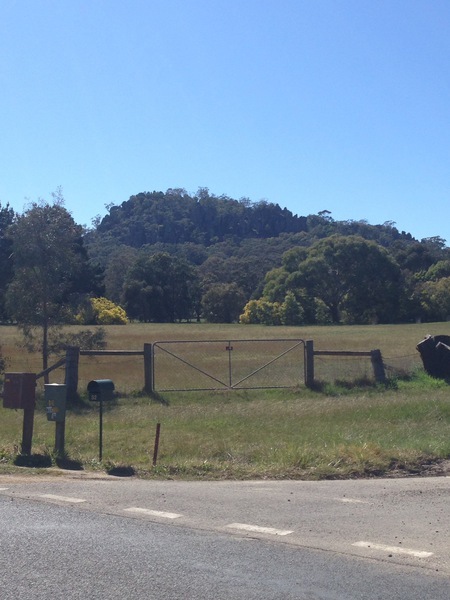 It is bordered by Colwell's Road to the north, South Rock Road to the south, private properties to the west and the Eastern Paddock to the east. Racecourse Road bisects the site and provides the main access to the reserve from the south. Located in the north-west of the reserve is Hanging Rock itself, an unusual body of volcanic rock known as a mamelon, characterised by a complex of vertical and inclined pinnacles with large detached blocks and slabs. Geologically, it is noted as the best example of its type in Victoria. Access to the rock formation is through woodland of the lower slopes, via an asphalted pathway or alternative stairway. The summit, individual viewpoints and rock formations can be accessed from minor paths between rocks. To the south a recreation area is formed in open woodland. Facilities include a kiosk (1968), discovery centre (1999), various picnic and amenity facilities and car parking areas. A small hexagonal building, constructed as a ladies toilet in the early twentieth century, is located in this area. To the east of the site is a racecourse which encircles a dam (1975) and cricket oval. A collection of simple racecourse-related timber and corrugated iron buildings and structures, grassed viewing slope and stand of exotic trees are located to the west of the racetrack. This place is part of the traditional land of the Kulin Nation and it is recognised that there are Aboriginal values associated with Hanging Rock. Criterion G Strong or special association with a particular community or cultural group for social, cultural or spiritual reasons. This includes the significance of a place to indigenous people as part of their continuing and developing cultural traditions. As Executive Director for the purpose of the Heritage Act 1995, I give notice under section 46 that the Victorian Heritage Register is amended by including Heritage Register Number H2339 in the category described as Heritage Place. All of the place shown hatched on Diagram 2339 encompassing all of Crown Allotments 6A, 7A and 12C1 Section 2 Parish of Newham. Early European settlers and explorers noted the presence of Aboriginal people in the vicinity of Hanging Rock. Oral tradition indicates that it was the location of large inter-group gatherings for trade and ceremonies, and was an important spiritual place. 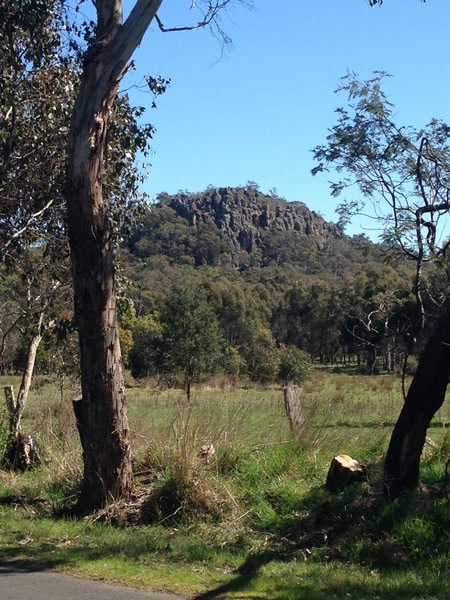 The geological formation which became known as Hanging Rock was recorded on a map by surveyor Robert Hoddle in 1844. It was given the name Diogenes's Mount and other features in the vicinity, such as Alexander's Crown (later Camels Hump) and Alexander's Head (later Brock's Monument), were also recorded on this map. Major Thomas Mitchell had ascended and named Mt Macedon to the south in 1836, however no reference was made to outcrops further to the north at this time. In 1855 the Curator of the Museum of Natural History in Melbourne, William von Blandowski, travelled to the central parts of Victoria, including Mt Macedon, to report on the physical character of the region. On this trip he noted 'a remarkable hill called Diogenes' Mount, commonly known to the colonists as "Dryden's Monument", a name singularly inappropriate, being the cognomen of a settler in the neighbouring district'. Blandowski also noted that 'The dividing range and Dryden's Monument, for the interest of their geological conformation and the extreme beauty of their scenery, are almost unequalled throughout Victoria'. Blandowski described Dryden's Monument in more detail as 'one of the most remarkable spots in Victoria, if not in whole Australia' due to its geological character, describing its appearance as 'about a thousand pyramidal columns, from fifteen to thirty feet in diameter, and thirty to one hundred feet in height, rise in bold relief from the surface'. His observations included details of the geology of the rock, concluding that the formation resulted from a second volcanic eruption which produced the peculiar columns. He reported that the columns contained a number of calcite-filled cracks, some of which were fractured or burst to expose the internal structure. After this excursion, two engravings of Diogenes Monument (Mount) were produced by J Redaway & Sons in 1855-56, based on sketches by Blandowski. These first known depictions of this geological formation included the name 'Anneyelong' in its description of the formation, and included representations of Aboriginal people in the foreground. The formation became more commonly known as The Hanging Rock, or Hanging Rock, by the late 1850s. This name inspired by a large rock suspended and wedged between two other rocks on the south side of the formation. Many maps from the 1870s and into the twentieth century avoided confusion by labelling the feature with all three names - Diogenes Mount, Dryden's Monument and Hanging Rock. Edward Dryden and Charles Peters were amongst the first settlers in the Mt Macedon region in 1839 and as squatters they grazed sheep and cattle on large areas of land which had been previously unoccupied. Dryden's Station was marked to the west of Diogenes Mount on Hoddle's map of 1844. In the 1840s Dryden and Peters divided their property and Dryden named his newly formed station Newham, after which the settlement near Hanging Rock was named. The Drydens were a well known pioneering family in the area and Newham Station was located in close proximity to Hanging Rock, hence the rock becoming commonly known as Dryden's Rock in the 1850s. Kyneton solicitor, Thomas Lloyd James, was the first to purchase the 69 hectare (170 acre) allotment containing Hanging Rock in 1857. Three years later he sold the northern 40.5 hectare (100 acre) portion, containing the Rock itself, to Alexander Archer, and the remaining 28.5 hectares (70 acres), to the south, to William Adams. In 1869 Adams purchased Archer's portion to the north and in doing so again brought the original 69 hectare (170 acre) property into single ownership. Adams had also purchased land to the north-west of the Rock and built the Hanging Rock Hotel in 1866. William Adams organised picnic and sports days on his land south west of Hanging Rock from as early as 1864. These were typically held on public holidays and sports were organised, liquor licences issued and various refreshment stalls provided. Dancing and music, including bagpipes, were part of these special occasions. On purchasing the land to the north containing Hanging Rock, William Adams set about creating a recreation area placing a weir across the creek to form a lake. He reportedly provided rowing boats and imported swans and other birds. A carriage drive was built from the foot of the Hanging Rock on the south side, leading to the west and reaching a large flat open space. Various rock formations and lookouts were given common names during this early period. The railway from Melbourne reached Woodend in 1861 and this enabled large numbers of visitors to travel to Hanging Rock from the city, particularly on special days when sports, races and entertainment were organised. On these occasions large drays were provided to transport passengers from the station to Hanging Rock. With large numbers from surrounding country towns such as Bendigo, Kyneton and Castlemaine also in attendance, it was commonly reported in the newspapers that thousands were present at any one time, particularly from the 1870s. In 1871 Adams sold his land, with the exception of Hanging Rock itself, to William Anderson of Melbourne who then leased the grounds to successive owners of the Hanging Rock Hotel. In 1876 Anderson also acquired the allotment containing Hanging Rock. William Adams had previously attempted to sell his Hanging Rock property to the government in 1874 and on inspection the surveyor commented that 'improvements... in excellent taste... access to the summit of the Rock much easier and the place altogether more charming'. However the asking price was considered excessive at the time and Adams continued to hold sports and picnics on his land. Garnet Walch described Hanging Rock in his book Victoria in 1880 as 'one of the most frequented spots in the neighbourhood and on Boxing Day and New Years Day in particular, is the locale of one of those scenes characteristic of Australian life. Races and other sports are provided for excursionists who flock to the rendezvous from all quarters...' In this same year Hanging Rock was described as 'remarkable' in Victoria and its Metropolis. The area around the Rock itself was fenced by Anderson, enabling him to charge an entrance fee on public holidays. This resulted in a deputation from the Shire of Newham to urge the government to purchase the Hanging Rock portion from Anderson. After much public discussion, 28.7 hectares (71 acres) were purchased and added to the adjoining Crown Land portion to the east. In November 1884 the entire acreage was permanently reserved and dedicated to the free use by the public as a 'Site for Public Recreation and for affording Access to Water'. In the Age, 11 October 1884, it was described as 'one of the most beautiful and picturesque public reserves in the Colony'. Admission charges were re-introduced in 1891, on certain days of the year. Towards the end of the nineteenth century Adam's ornamental lake was revived and his carriageway restored. In 1901 triumphal arches were placed over all five gates to Hanging Rock and flags were flown, to celebrate the inauguration of the Commonwealth of Australia. The presence of a number of horse breeders in the region, including one of the first pioneers of the district Edward Dryden, provided the impetus to include horse racing at sports days held at Hanging Rock from the 1860s. These were originally run on a rough track to the west of the Rock, however a race track was formed on land east of the Rock in 1877 and this was ready for racing on New Year's Day 1878. The Hanging Rock Cup was added to the programme in 1880 and was won that year by a horse owned by Edward Dryden. This race track was formed on land to the east of the Rock which had been acquired by the government and gazetted in 1870 as a reserve for recreation and water. This previously unsold 38.8 hectare (96 acre) allotment contained a good spring (which had been noted on Hoddle's map in 1844) and flowing creek which provided an important water source for surrounding farmers. The addition of the racecourse on this land therefore caused some agitation in the district. The Hanging Rock Racing Club was formed in 1885 and horse racing continued to gain in popularity. The bush races at Hanging Rock were both advertised and described widely in local and Melbourne newspapers. On 2 January 1907 the racecourse was described in the Argus as 'without doubt the most picturesque course in the state'. There was concern that the course was too short to continue being recognised by the Victorian Racing Club and after eight years of lobbying the racecourse was extended to form the present track in 1911. Plans prepared by Victorian race course surveyor, A. Tuxen in 1905 were used for this purpose. It was reported in the Age on 2 January 1912 that a crowd of approximately 20,000 were in attendance at the Hanging Rock Races on New Year's Day that year. Exotic trees in the public viewing area were presumably planted at this time to provide patrons with shade. The popularity of the Hanging Rock Races was disrupted during World War One but afterwards attendance grew again with the increasing use of motor vehicles. 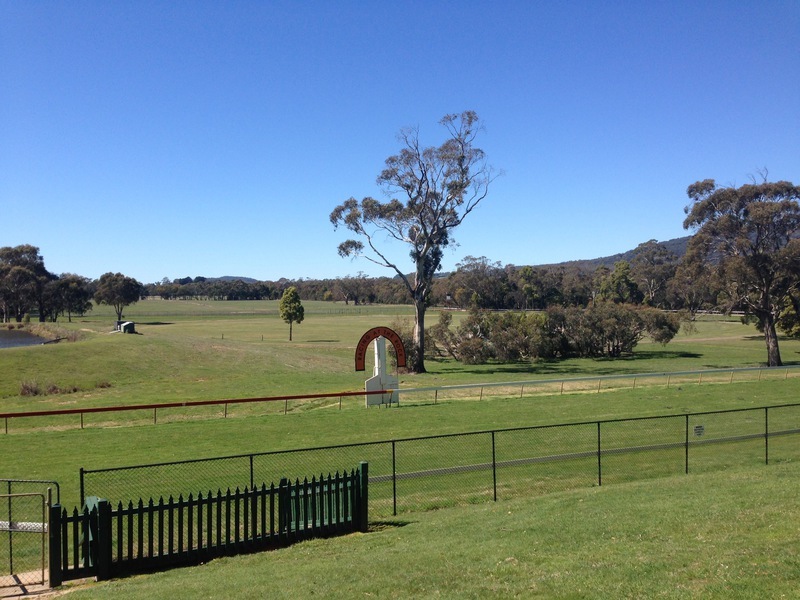 Horse racing ceased at this racecourse during World War Two, after which time Australia Day became the favoured day for racing events at Hanging Rock rather than Easter. Races now take place on two days of the year, New Year's Day and Australia Day. Throughout the twentieth century various facilities were added to the Hanging Rock Reserve. A ladies toilet facility was built in the early 1900s and remains on the site. This, and later amenity blocks, shelters and areas for car parking, have been added to the recreation area to the south of the Rock. A kiosk was built in 1968 on the site of an earlier caretaker's cottage and the adjoining discovery centre was built in 1999. A collection of buildings were constructed to the west of the race track in the twentieth century and a new tower added in 1971. A large dam was excavated in the centre of the race track in 1975 on land that was reserved for water purposes in 1870. In 1989 adjoining farmland to the east became available for sale and was subsequently purchased by the local Shire Council. Known as the Eastern Paddock, it has recently become the venue for large outdoor concerts. Australian author Joan Lindsay wrote the book, Picnic at Hanging Rock, in 1967. The making of the compelling film of this book by Peter Weir in 1975, resulted in the sudden interest of Hanging Rock, both nationally and internationally, and the number of visitors increased significantly. As a result, large grants were received from the Victorian Government in 1978, which enabled site improvements to be made. Featuring a distinctive and rare geological formation, the Reserve has been a popular recreational destination since the 1860s for its picturesque setting, spectacular views, climbing and horse racing. exemption covering such works shall cease and Heritage Victoria shall be notified as soon as possible. It is desirable that all works be informed by a Conservation Management Plan prepared for the place. planning or building permits from the relevant responsible authority, where applicable. The process of gardening, including mowing, hedge clipping, bedding displays, removal of dead shrubs and replanting the same species or cultivar, disease and weed control, and maintenance to care for existing plants. The removal or pruning of dead and dangerous trees to maintain safety. Replanting removed or dead trees and vegetation with the same plant species to conserve the significant landscape character and values. Management of trees in accordance with Australian Standard; Protection of Trees on Development Sites AS 4970. Subsurface works involving the installation, removal or replacement of watering and drainage systems or services outside the canopy edge of significant trees in accordance with AS4970 and on the condition that works do not impact on archaeological features or deposits. Vegetation protection and management of possums and vermin. Repairs and maintenance to all hard landscape elements, fences, gates and lighting. Repairs, resurfacing and maintenance of existing pedestrian and bicycle pathways and trails. All works associated with operating and maintaining the existing road infrastructure, including car parks and signs. The resurfacing of existing car parking areas. All internal works excluding internal structures and mechanisms required to support the building. External repairs and maintenance that replaces like with like. Construction of new external openings. The installation or replacement of services such as drainage, plumbing, electricity, computer cables, air-conditioning and fire safety. Maintenance normal to a building. The maintenance of, and alterations to, horse stalls and main racecourse buildings. The maintenance, removal and replacement of existing visitor facilities, including park furniture, such as but not limited to: BBQ facilities, tables and seating, shade structures, posts, lighting, paths, footbridges and signage associated with the reserve. The installation of above or below ground domestic sized water tanks to service the horse stalls and main racecourse buildings. Where below ground there is to be no impact on trees or change to grade. All events and associated infrastructure that have no permanent physical impact on buildings, structures and features, trees and beds, are permitted for a period of up to 14 days. Events of a longer period or having the potential to impact on trees, beds, lawns, the Hanging Rock formation itself, and other natural features will require the submission of an event management plan to be approved by the Executive Director. In this case the event would normally be considered under the Minor Works provisions of the permit exemptions and s66(3) of the Heritage Act 1995. 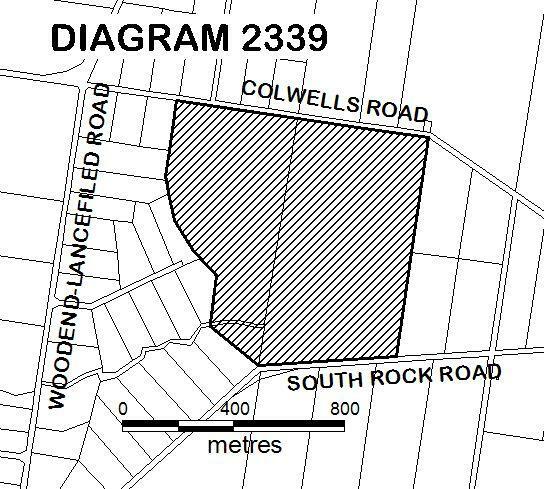 The extent of registration of Hanging Rock Reserve on the Victorian Heritage Register affects the whole place shown on Diagram 2339 including the land, buildings, roads, trees, rocks that form part of the Hanging Rock geological formation, landscape elements and other features. Under the Heritage Act 1995 a person must not remove or demolish, damage or despoil, develop or alter or excavate, relocate or disturb the position of any part of a registered place or object without approval. It is acknowledged, however, that alterations and other works may be required to keep places and objects in good repair and adapt them for use into the future. The key management document for Hanging Rock Reserve is Loder & Bayley, Hanging Rock Recreation Reserve Management Plan, 1993. The cultural heritage significance of Hanging Rock Reserve lies in its outstanding aesthetic qualities and its early and popular use as a place for recreational activities, including horse racing, for large numbers of Victorians since the 1860s. Both the unusual rock formation and the racecourse have seen the ongoing use of the reserve as a tourist destination. The reserve contains a number of buildings and structures which are of low cultural heritage significance. These include buildings located to the west of the racetrack and towers around the track. While of low cultural heritage significance, these buildings form a picturesque group which contribute to the character of the place and assist in reading it visually as a regional race track. Retention of this character is encouraged. 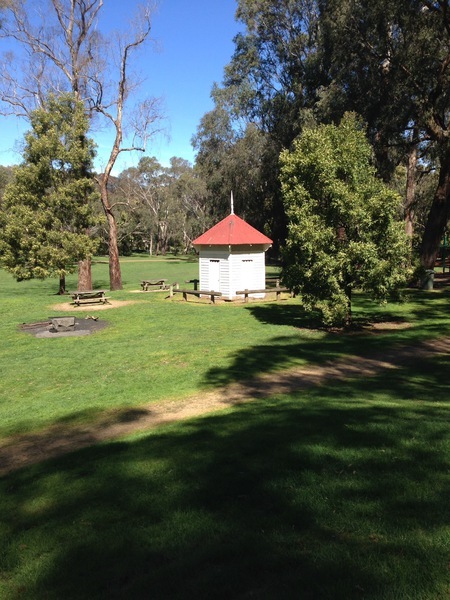 The early twentieth-century ladies toilet building, located in the recreation reserve to the south of Hanging Rock, is of higher cultural heritage significance in the context of the place.